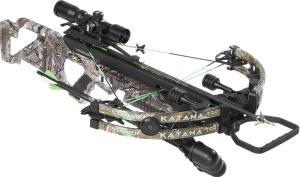 The new Katana 360 is the definition of a high performance, highly efficient crossbow with the added value of safety and reliability. 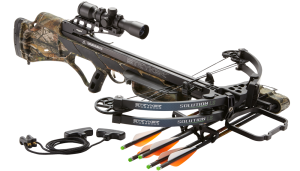 Comfortable to carry and smooth to shoot, the Katana series is the only compound crossbow that you can DECOCK simply and safely. WHY DOES THAT MATTER? 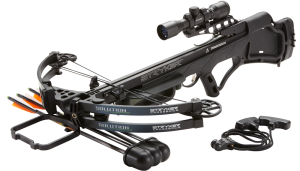 You’ll greatly extend string life by decocking versus firing an arrow when the hunt didn’t end in a kill. It’s also safer, much safer. 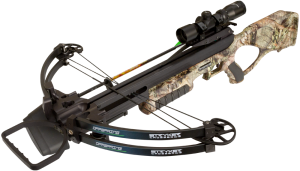 Don’t walk around the woods or climb into a tree stand with a cocked crossbow. 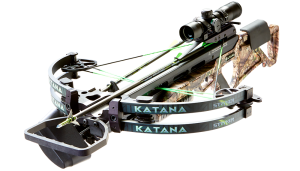 The Katana 360 boasts an impressive 360 fps at only 150 lbs of draw weight. It also comes equipped with a 5.5 pound trigger, anti-dry fire technology, manual safety, oversized finger guards, and an ambidextrous cheek piece. 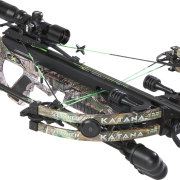 Check out the full bow specs as well as videos with the Katana 360, including how to simply and safely decock it.